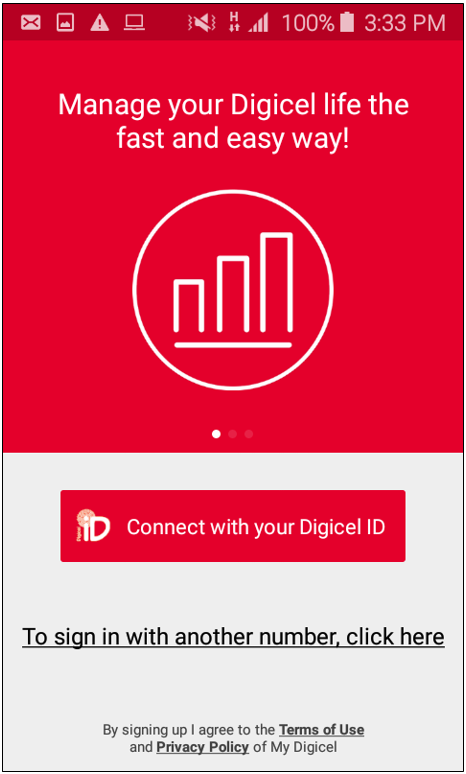 What are the benefits of using My Digicel App? How to do a voucher recharge/top up via MyDigicel App? Where do I find Knowledge Base on My Digicel Application (MDA)? 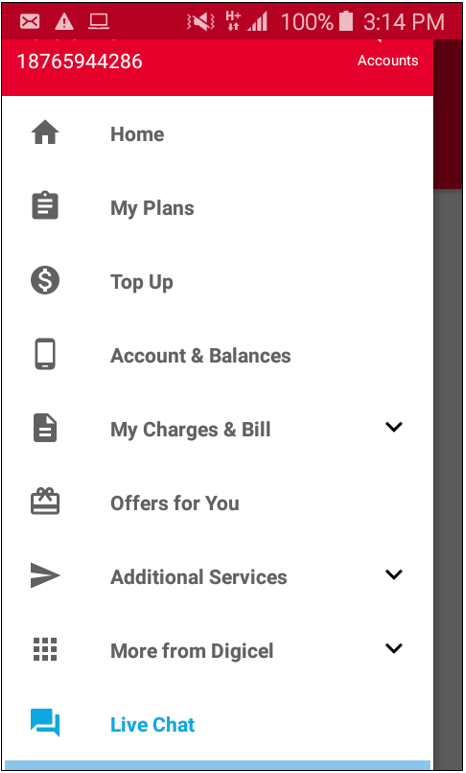 How do I activate a plan on MyDigicel App? What is the use of MyDigicel App? How do I download MyDigicel App on my smartphone? How do I transfer credits via my digicel app? Convenient - answers at your fingertips! Friendly & responsive agents to answer your questions. Easy access via the website, Help Centre or My Digicel App. Step 2. Click on the Menu ( ) in the top left hand corner and click on 'Live Chat'. You will be taken to a page to fill out the Digicel Pre-Chat form. Fill in this form to begin chatting with a Customer Service Representative. Step 1. 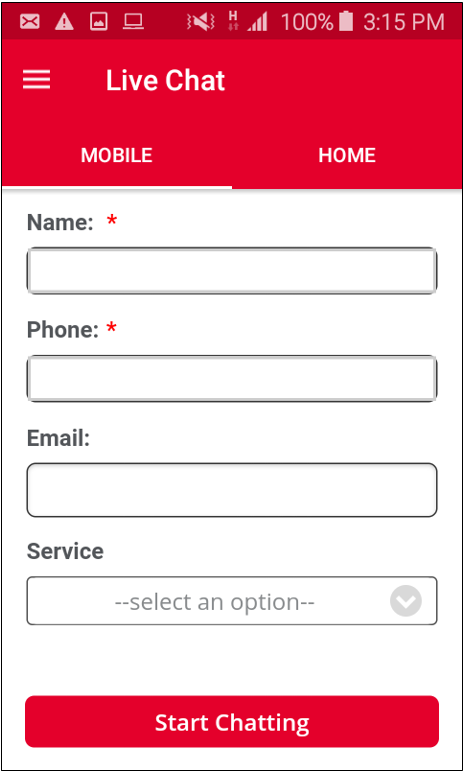 On the web version of the My Digicel App, select your country and enter your mobile number then click 'OK'. Step 2. You will receive a 4-digit code on your mobile device which should be entered in the slot named 'Code'. Select 'OK' to complete log in. Step 3. You will be taken to a page to fill out the Digicel Pre-Chat form. Fill in this form to begin chatting with a Customer Service Representative. Step 1. While in the Knowledge Base, select the 'live chat' floating icon on the screen. Step 2. You will be taken to a page to fill out the Digicel Pre-Chat form. Fill in this form to begin chatting with a Customer Service Representative. What are the Call, SMS & Data rates on Digicel's Network? Is the 'Double Data' Promotion new data/1TOK combo plans?